The guys in my family love beef and grilling... so this dish was perfect for them. What I love about this recipe is that it's easy to prep in advance and then pass on to the guys to grill so they can help with dinner. As for serving, you can serve this with your favorite sides, tucked into tortillas, in a sandwich, on top of a big leafy salad or just as is. Just don't forget the limes and a few slices of fresh tomatoes to get a taste of the season! Combine 1/4 cup juice, garlic, olive oil and steak in a shallow dish. Sprinkle cumin, 1/2 teaspoon salt, and red pepper over both sides of steak. Cover and marinate in refrigerator 3 hours. Heat grill or grill pan over high heat. Add steak to pan; cook 3 minutes on each side or until desired degree of doneness. Let stand at least 10 minutes. Cut steak into 1/2-inch pieces. 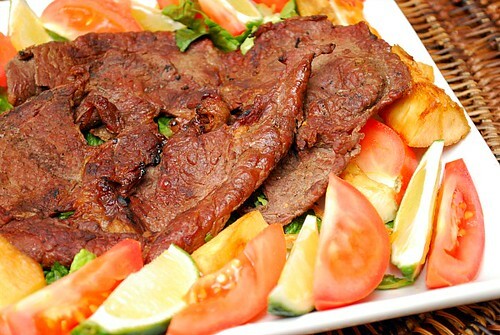 I LOVE Carne asada! I will have to give your recipe a try! I'm always looking for new ways to serve up a dish to the family. YUM. 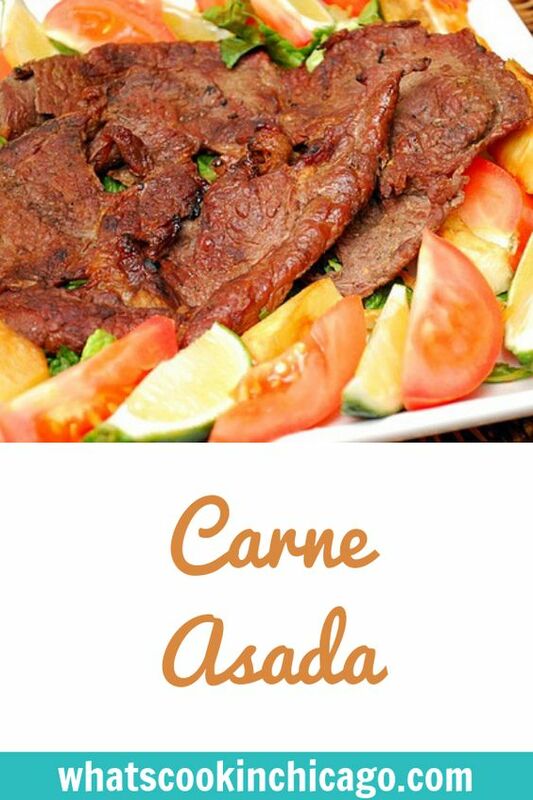 We grill carne asada often (we slice it thin, then add it to soft tacos with some guacamole and pico de gallo). Yum! I love carne asada and this recipe sounds delish! I always looking for light meals. Not only because of the calories, but I feel better after a light meal. This looks good. That looks so good! I've been looking for great red meat recipes and I can't wait to try this one out! Sounds like a great meal for the upcoming Father's Day weekend! Oh this looks absolutely delicious! I think, because I'm in Southern CA, and everyone is expected to have their own favorite marinade, carne asada here just refers to a super thin cut of steak. So when I buy carne asada, it comes unseasoned. Which means I can try this recipe the next time I pick some up!